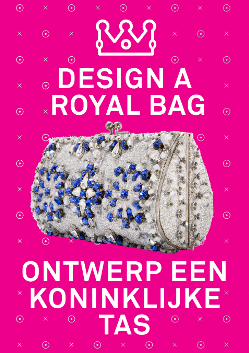 Home / design contest / Joke Vreeze Award / Joke Vreeze Foundation / Museum of Bags & Purses / royal bag / Tassenmuseum Hendrikje / Design a royal bag! The Joke Veeze Foundation in cooperation with the Museum of Bags and Purses organises an international competition for young designers around the theme 'Royal Bags'. This is the second time that the Joke Veeze Foundation is sponsoring a contest for new talent in fashion design and styling. The 2016 Joke Veeze Award will be presented to the designer who creates the most amazing bag. Not surprisingly, the competition is being organised together with The Museum of Bags and Purses, a well known museum in Amsterdam that celebrated its 20th anniversary. As part of this jubilee year, a special exhibition will open in October 2016: Royal Bags will display bags carried by members of European royal families. The Joke Veeze Foundation sees this as the perfect occasion to present its Joke Veeze Award this year for the design of a spectacular bag – and especially because Joke Veeze simply loved bags and purses. The grand prize is € 5,000 and the public’s choice award is € 2,000. The theme chosen for the contest also reflects the museum’s anniversary exhibition: Royal Bags. 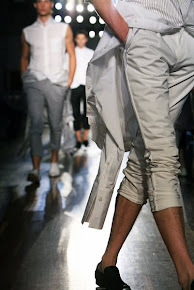 The contest aims to attract submissions from new designer talent such as students and recent (within 2 or 3 years) graduates of art and fashion design academies and is intended for people who are professionally active in fashion and design. This is an international competition in that students at academies in other European countries are being invited to participate. At the same time that the Royal Bags exhibition is held at The Museum of Bags and Purses, a separate exhibition will be showing the most interesting designs submitted to this competition, and visitors can select their favourite. The designs made by the two award winners will be included in the museum’s permanent collection. Submissions must be accompanied by a statement of the designer’s objective (no more than 300 words) possibly supplemented by design sketches/material samples and a CV. Registration for the competition involves completing a form available at the Joke Veeze Foundation website: www.jokeveezefoundation.nl. The website also provides additional information about procedures and the email address to which the designer’s objective and CV should be sent. The deadline for submission is Monday, 29th of August 2016. The actual bag designed by the participant must be sent to: Tassenmuseum Hendrikje, t.a.v. drs. S. Ivo, Herengracht 573, 1017 CD Amsterdam, The Netherlands.